Grunge vector picture with skull and template for your tattoo designs, prints and other graphic designs. File format: .Eps for Adobe Illustrator, CorelDraw, Photoshop or any vector software. 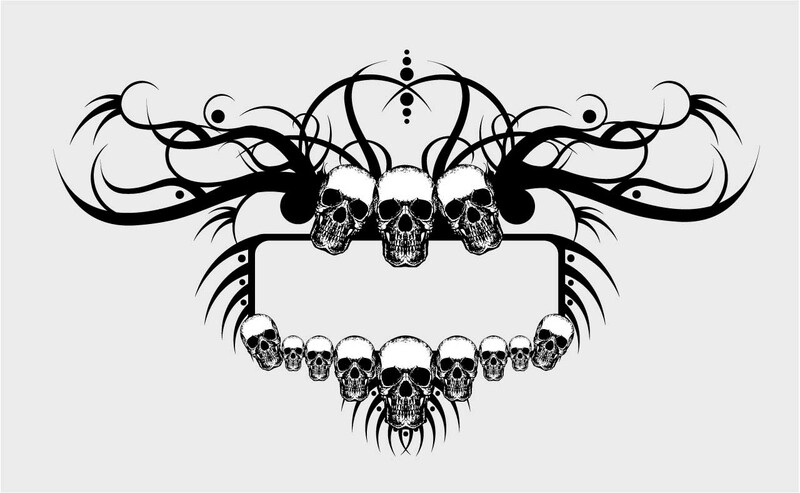 Tags: frame, grunge, skull, swirls.